I first saw this idea on Effortless Style and thought it was genius. I love the way she painted the back of hers, but I wanted to try something a little different. I'd been searching for an affordable lucite tray for a while, but didn't have much luck. So I was happy to give this idea a try. The best part is it's super affordable. It's technically a shadow box frame, but you turn it upside and you have a tray. 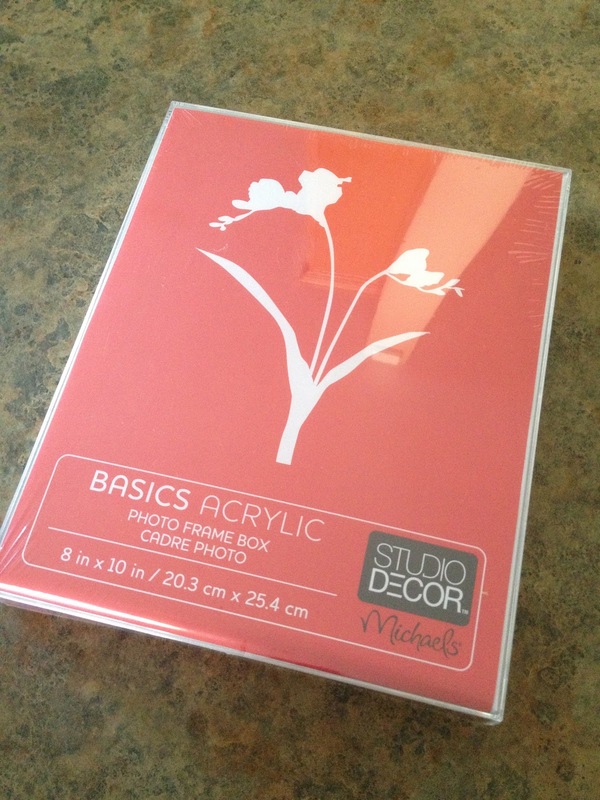 I found my frame at Michaels and ended up getting it for around $2 with a coupon. I chose the 8 x 10 size because I wanted something small to use on my night stand, but they have a variety of sizes. Then, I picked up this leopard print placemat at the dollar tree. Actually they call it jaguar print, those dollar store people are fancy. I traced the shape of frame on the back side of the placemat and cut it out. Then, I applied some modge podge to the back side of the frame or technically it would be the front of the frame but the bottom of the tray, did that confuse you enough? Then, I just adhered my cut placemat to it. You may want to rub it with a credit card to make sure you get all the air bubbles out. You could use any sort of paper for this project, wallpaper scraps, scrapbook paper, wrapping paper, etc. It also wouldn't be hard to change out the paper when you get tired of it. It may get a little messy but you could just run it under some warm water and scrub with a little soap to remove the old paper and then follow the same steps to adhere new paper. When I turned it over I found it to wobble a bit so I just added some of these little rubber stoppers to the four corners and now it sits perfectly level. I love having it on my nightstand because sometimes you just need a place to put something and to keep it all corralled. Since it's plastic I can even set a glass of water on it without worrying about it ruining the finish of my nightstand. My Target watch is still going strong, can't beat it for the price. Loved that idea on Effortless as well and I'm really liking your take on it!! What a great idea!!! Too cute! Oh heck yeah! I'm totally doing this. oh i am sooo going to buy one of these and make it for my bathroom!! LURVE!!! I might have to get one for myself. Love the bracelets by the way. Awesome! May have to try this one. I'm new to your blog. 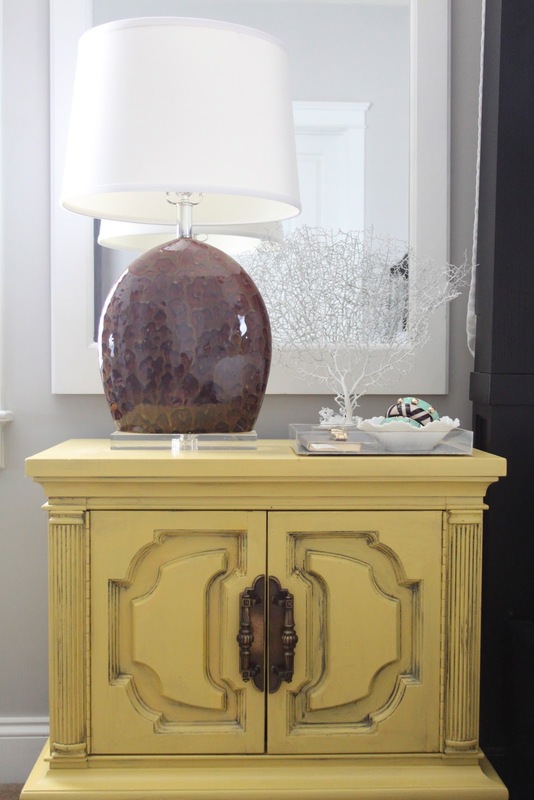 I found you via your yellow end night stands on Pinterest. LOVE your blog and your style. I'm a new follower! Pretty fabulous for what $3.00??? Ingenuous. so excited to have found you through Pinterest...just signed on to follow you. You are seriously genius!!! I came across your site on Pinterest and am so glad I did!! 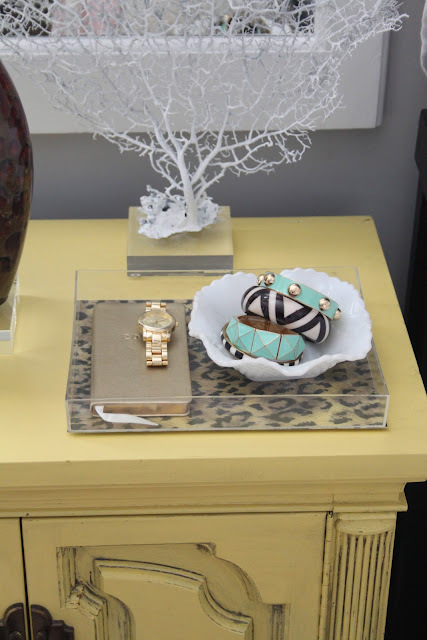 I'm a bit obsessed with trays & leopard, needless to say, I love it! This is genius!! 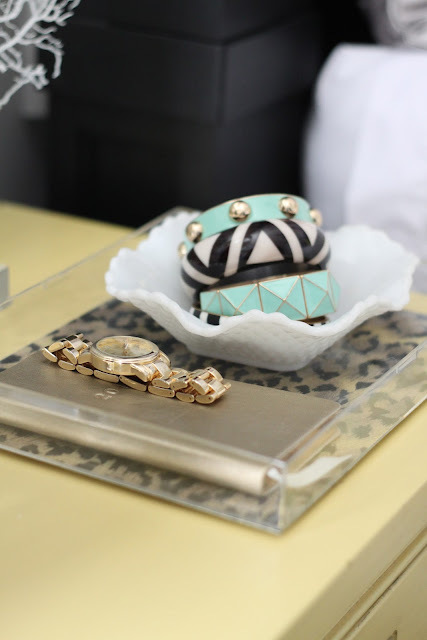 I need to make one asap for my nightstand. This is such an awesome idea and cheap too! Love it! I really need to find some of these cheap leopard print things they are so fun!